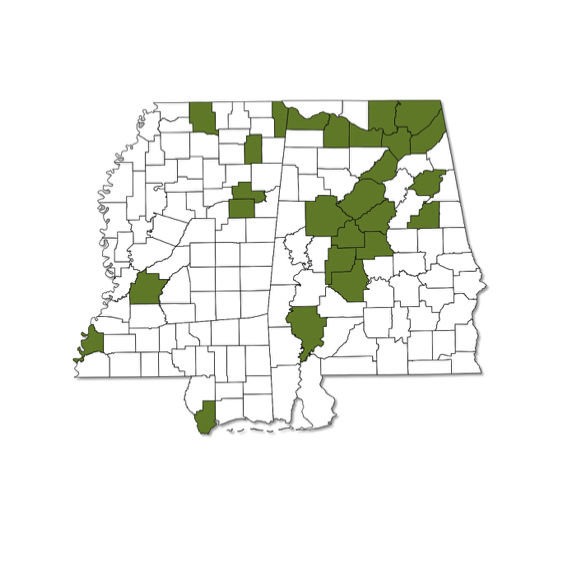 Expected to occur throughout both Alabama and Mississippi, but often missed because of its early spring flight season. Forewings of both male and female have strongly pointed tips. Females white on upper surface with one dark spot on each forewing. Males white with orange tips on forewings. The under side of both with marbled dark and white markings on the hindwings.